Фотобанк РОСФОТО - микросток. 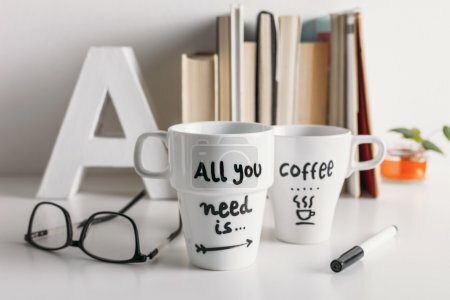 Лицензионные Фото, Видео, Музыка - Two white coffee mug with diy decoration. Two white coffee mug with diy decoration. Hipster cup of coffee on a books library.